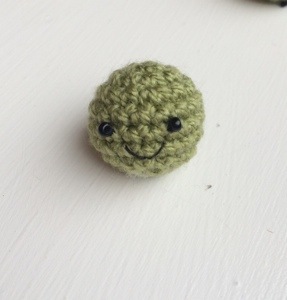 As promised here’s my ‘Peas in a Pod’. Keeping on the theme of play food these little guys were next on my ‘to do’ list. 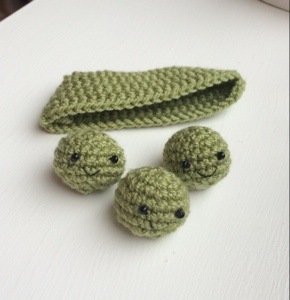 My little one will eat peas until the cows come home so I thought these would be ideal for her but to be honest I can’t see any child refusing to play with them, they are just too cute! 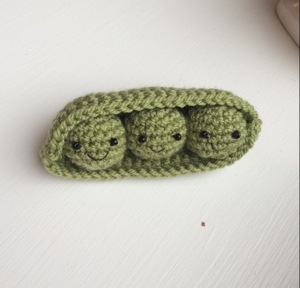 Using just the simplest stitch of single crochet, these peas are very easy to make, the pod proved a little bit harder but I got there in they end and all three peas fit in there lovely and snug. With little hand embroided faces they are irresistible. 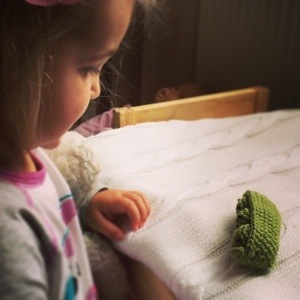 I have left the little peas loose so they can be easily removed and played with or used as a great counting aid. Don’t forget to visit my Facebook for lots of other creations.